Scott R. Corley is a Senior Lecturer in the Department of Music at the University of Wisconsin-Milwaukee's Peck School of the Arts. In this capacity, he serves as Assistant Director of University Bands and Music Director of the UWM Youth Wind Ensembles program. 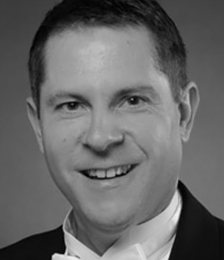 Dr. Corley is the conductor of the UWM Symphony Band, Youth Wind Ensemble I and Youth Chamber Winds, and directs the leadership of the University (campus) Band and Panther (pep) Band. Dr. Corley's other duties include teaching graduate and undergraduate courses in conducting, assisting with the development of the graduate conducting students, and all administrative duties of the University Bands operational area. Dr. Corley recently graduated from the University of Iowa with a Doctor of Musical Arts Degree in Band Conducting. At Iowa, Corley was an Iowa Performance Fellow, Graduate Teaching Assistant, and a staff member of the Hawkeye Marching Band. Prior to his appointment in Milwaukee, Corley earned a Bachelor of Music Education degree from the University of South Carolina (his home state), and taught in the public schools for four years. He was then awarded a Graduate Teaching Assistantship to the Hugh Hodgson School of Music at the University of Georgia, where he earned a Master of Music degree in Conducting. At Georgia, Corley studied trumpet with Fred Mills and conducting with all of the school’s ensemble conductors, and was on the staff of the UGA Redcoat Band. Since moving to Wisconsin in 2002, Dr. Corley has maintained an active schedule of University service, as well as activities off campus. He has been clinician/adjudicator and guest conductor for a number of band festivals and middle/high school honor bands in the region. Dr. Corley's publication credits include recording projects and contributions to written volumes. He has been a frequent nominee in "Who's Who Among America's Teachers," and was awarded Outstanding Graduate Teaching Assistant at the University of Georgia in 2002. Dr. Corley maintains active participation in the College Band Directors National Association, National Band Association (Board of Directors, Wisconsin Chapter), Music Educators National Conference, and other professional music organizations. As an advocate of new wind band music, and especially that for young/developing ensembles, Dr. Corley is frequently involved in commissioning projects, consortia, and assisted in the organization of CBDNA's Young Band Composition Competition in 2003 and 2005. Corley has led numerous premiere performances including works by composers Dwayne Milburn, Anthony Suter, and Michael Markowski.